Our snow cone beginner package comes with everything you need to get your own snow cone business rolling, including a Sno-King Snow Cone Machine that can produce up to 500 pounds of shaved ice per hour. 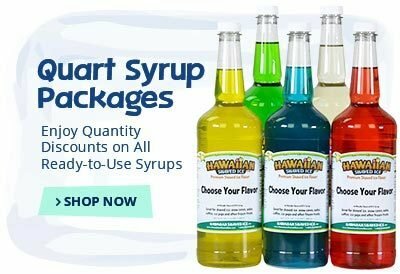 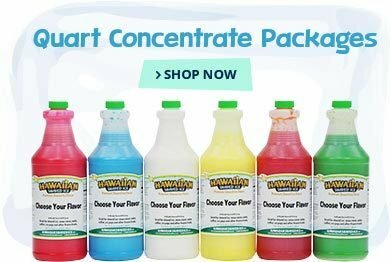 Included with the snow cone beginner package is your choice of our high-quality ready-to-use snow cone syrups, serving bottles, labels and more! 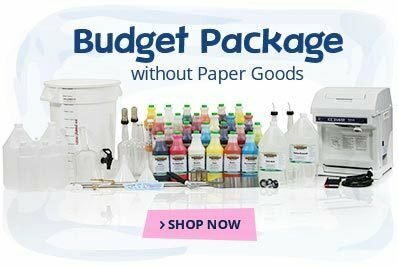 Check out the Specs tab above for a complete list of included items. 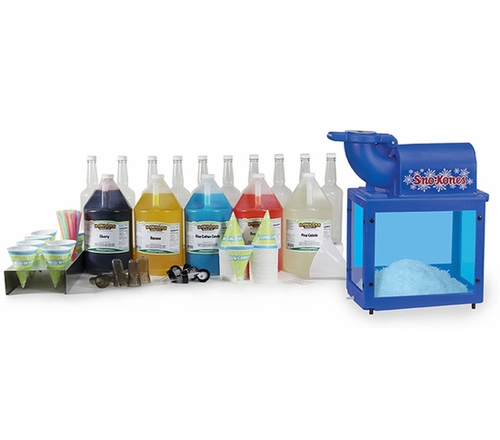 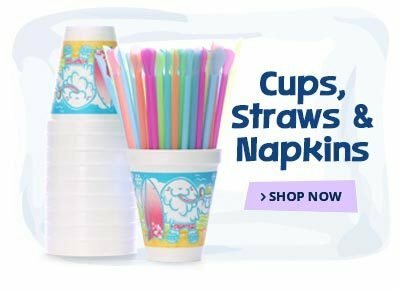 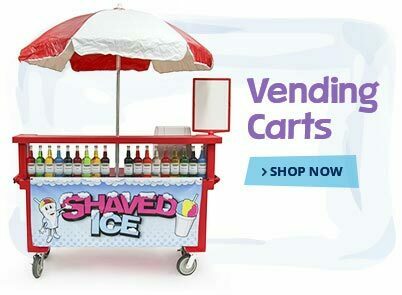 Our snow cone business start-up kits can be customized to your liking and you can even substitute the Sno-King machine for one of five alternate ice shavers. 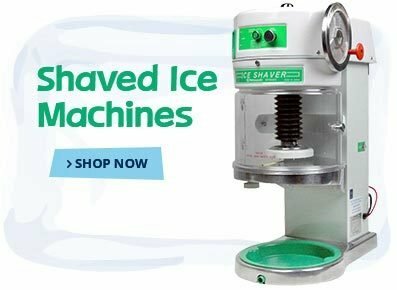 Contact us with any questions you may have - we are here to help.